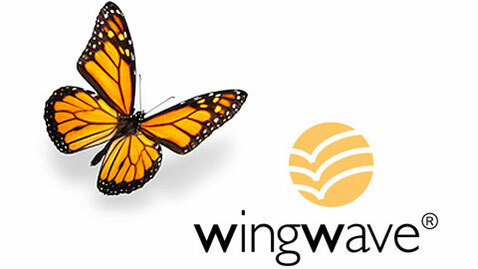 Wingwave® coaching was created in Germany by Cora Besser en 2001, Wingwave® has not stop expanding worlwide since then. The Besser- Sigmund institut, makes continuos developments and keeps their asociate Coachs actualized in the technology. Wingwave® is the combination of three diferent technics already known, the wingwave® method allows extraordinary personal grow , is rapid, very efective, offers long lasting results and increases satisfaction to new levels. Neuro Linguistic Programing was developed by Richard Bandler and John Grinder, in use in other coaching lines, is also used in wingwave®, to work with significance, reframe or the time line, forms part of a wingwave® coaching sesion. Dr. Yoshiaki Omura, developed the "O"ring test, also known as "miostatik test" and "stres test", it allows the costumer to verify blokcage areas that stop the customer from achiving his goals. It also provides feedback awarness. Drs. Francine Shapiro dedicated his life to the study of EMDR, known also as "Brain's hemisferic bylateral stimulation", she develop a method to "disolve" the blockage situation, trauma or stres to a new level where the customer can handle it. Dr. Edwaud Lorenz , used in the "Caos theory" the "buttefly effect",he said that " the movement of the wings of a butterfly in the right moment and place can alter the course of events to the point that could form a huracain in the other side of the world", the "buterfly efect" has ben also famous in the cinema, the film "back to future" ilustrates also how a small efect can cause a big efect in the course of subsequent events, a metaphor that help us to understand how Wingwave® can offer with a small efect so great and rapid results. What is wingwave® for ? Be able to "get started"
Personal growth, for high performance executives under stress, public speaking, to achieve maximum sports performance, to overcome blockages in studies, to treat anxiety without medical treatments, and in general to achieve effective wellness in any area of our life ..
Take the first step, come and see us !, the first interview is free, are you going to miss it?